Vital Statistics: Li Yipei, also known as David Hawkins Dee, was born 12th of 13 children, one of 4 sons, on July 10, 1904 in Fukien, China. He died on December 31, 1973 in Manila, Philippines, Wu Huiying, also known as Ivy Woo Dee, was born of 7 children, 2 brothers and 4 sisters, on January 10, 1909 in Shanghai, China. She died on May 19, 1993 in Los Angeles, California, USA. 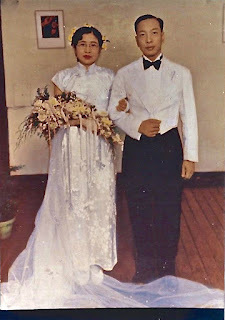 Marriage: David Dee and Ivy Woo were married on March 23, 1940 in Manila, Philippines. Service Highlights: Lifelong dedication, leadership, and financial support of Chinese Church and its evangelistic efforts in Greater Manila. Prison ministry at Muntinlupa, Philippines. Li Yipei, better known as David Hawkin Dee Poe, was born in the town of "Kim Te Hyun", Amoy, Fukien, China. He came to Manila at the age of 1 3 to join his siblings. Through zeal and hard work, he entered Adamson University and got a degree in Industrial Chemistry. He first converted to the Methodist faith and was given the baptismal name of "Hawkins". Later, through a colporteur, he came to know the teachings of the Seventh-day Adventists and was baptized. Wu Huiying, also known as Ivy Woo, was born in Ningpo and moved at an early age to Shanghai, China. She was baptized into the Adventist faith with her mother while a teenager. She studied at the China Training Institute (CTI). Then became the second Dean of Women at CTI while relatively young- After a year, she became the Executive Secretary of Miss Bessie Mount, Director of Sabbath School at China Division. After 10 years. she went to Philippine Union College to finish a bachelor’s degree in English. After a brief romance- David and Ivy were married in 1940 (Fig. 1). A partnership in service for the Lord was forged. During the early Japanese occupation in the Philippines, the feared Kempetai were on a rampage, rounding up spies and suspects. These secret police were more ruthless than the Gestapo, and will not hesitate to kill a hundred innocent individuals to catch one spy. Late one night, a loud rap on the front door startled the Dee’s household. They opened the door cautiously to face several stern Kempetai agents wanting to question David. You see, David had been a volunteer translator for American missionaries in evangelistic meetings and in subsequent home visits. Three days of harrowing interrogation, with threats and frequent electric shocks, finally convinced the chief Kempelai that David was innocent. He was released unharmed, He hobbled home to the utter joy of Ivy and fellow believers who were praying for him. With General Douglas MacArthur’s return, a bitter battle for Manila. ensued. The Japanese refused to retreat. Dee’s house was caught in the middle of an artillery duel between the Americans and the Japanese. Several of the Japanese bombs were duds, landing in the neighborhood, yet exploding and causing mayhem. One bomb fell at the front of Dee’s house. David and Ivy were just trying to tuck their children to bed and were kneeling to say the good night prayers. The windows came crashing in. After the dust settled, the entire family were miraculously spared. David was seldom home during those times. He was often in the neighborhood helping others put out their fires, That, and God's providence, kept Dee’s house among the few that was still standing. In time, Dee’s house was packed with 40 additional friends, relatives, and church members who escaped with only their belongings on their backs. The Lord, time and time again, delivered the Dee family from the jaws of death. Right after World War II, a massive reconstruction began. This was a once-in-a-lifetime opportunity where millionaires were made overnight. It took guts and quick decision-making. You need luck It was a free for all. David Dee joined the melee. He formed Dee Poe & Company and was on his way. He wanted riches so that he may do great things for God. But God had a different plan for him. The venture was nipped in the bud. He was kidnapped for ransom by local Chinese hoodlums. After three weeks of threats and secret negotiations, David was released. He took off his blind-fold and looked around a deserted street at midnight. As he walked home, he wondered what God's plan is for him. In late 1940's, David and Ivy Dee formed the Hawkins Chemical Products Company. The manufactured baking powder and flavoring extracts were sold to ten bakeries throughout the Philippines. It did well enough to provide for the family and to fund several faith-based ministries. In early 1950's, there was a wave of interest in spreading the ‘Good News' to prisoners in the National Penitentiary, the Bilibid Prison at Muntinlupa. Dr. Andrew Nelson, President or Philippine Union College (PUC), who also authored an English-Japanese dictionary, led the work for the captured Japanese soldiers. Likewise, David and Ivy took special interests on the hundred or so Chinese prisoners (Figs. 3, 4, 5, 6, 7, 8, & 12). Early on, Pastor Joshua Chong of Singapore, who was completing his studies at PUC, provided the most enthusiastic support. David Jr and Joshua, 9 and 8 years old respectively, participated in this ministry with songs and instrumental music2 . 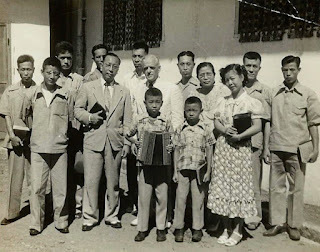 This prison ministry lasted over eight years, meeting every Sabbath afternoon, right after morning services at the Chinese Church. With the Holy Spirit at work, some forty convicts were baptized and their lives transformed They gradually took up responsibilities in helping to run the church in prison. A very unusual experience occurred at the start of the prison ministry. In the first few meetings, one man stood out as the leader among the inmates. His name was Chua Tong. David Dee thought his voice sounded familiar, but could not place it. Then Chua disappeared. David asked the prison guard what happened to Chua and was told that Chua is now in "Death Row', awaiting execution. David was given permission to visit Chua in the isolated cell during their meeting, Chua kept looking away as he talked. Chua then asked David, "Do you know who I am?" David replied. “No, should I?" A mutual friendship developed. Ivy and David regularly visited Chua’s wife and two sons, giving them moral and spiritual support. Soon after their baptisms, Chua and Toh (a fellow Death Row inmate) were subjected to their ultimate tests. As their date of execution drew near, they were heavily wooed by the Catholic priests to join the Catholic faith, with the promise of certain clemency from the President of the Philippines, who was also a Catholic. Toh succumbed to the pressure and joined the Catholic Church, but Chua remained true to the Adventist faith. David also tried to work tirelessly on behalf of Chua, seeking clemency through his own channels to the Office of the President. Both Chua and Toh eventually went to the electric chair on the same day. David and Pastor Chong had the privilege of ministering to the physical, emotional and spiritual needs of Chua in his final weeks, and indeed, also in his final moments. Chua was allowed a final meal of his choosing. He requested that Ivy prepare him a vegetarian dish. Minutes before he walked to the electric chair, he bid David and Pastor Chong farewell, assuring each other that they will meet again when Jesus comes in the clouds of Heaven. Newspaper reporters and prison guards were all amazed at his calm composure in the final moments (Fig. 5). What a witness he was to those around him. May our Lord's name be praised! This prison ministry came to an end when the Philippine government decided to parole all Chinese prisoners. giving them a new beginning in some islands of southern Philippines. It was a bitter sweet parting, each prisoner encouraging one another to keep the faith “til that Day when He comes again”. Soon, another need presented itself: At the height or the conflict between Communist China and Taiwan, the overseas Chinese in the Philippines were often caught ‘in between’. This was worsened by strong anti-Chinese sentiments in Philippines due to their inordinate financial successes. Many of the wealthy Chinese were rounded up, presumed to be Communist collaborators. They were imprisoned in nearby Camp Crame, a military post. Ivy and David Dee, as lay ministers, offered their services in any way possible to ease the pain of their incarceration. As opportunity arose, the Gospel was imparted. This lasted a couple of years until the suspects were released or transferred. The Dee’s children witnessed their parents' dedication to spreading the Gospel through their work at the Chinese Church in Greater Manila, and in the Chinese community, They fervently believed that Jesus wilt come soon, even in their lifetimes. The Church always congregated in a rented hall - early on at Narra Street (Fig. 2), then to Alejandro Street (Fig. 9), and still later at Alonzo Street (Figs. 10, 13). David Dee, as head elder, preached occasionally; but frequently translated for visiting pastors at church services and for evangelistic meetings. Ivy Dee taught Sabbath School lessons, played the piano, and encouraged her children to provide special music. David Jr, the most musical, contributed the most. He played the accordion and violin, and sang solos as well as in a male quartet. Ivy and David were always on the look-out for help to enrich the content of the church services. 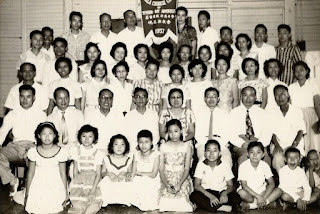 In late 1950's, Philippines Chinese congregation were blessed by many dedicated foreign Chinese students at PUC. Most notable were Pastors Lo Hing So (Hong Kong) and Lee Ming Dao (Taiwan). Others were Liao Heng Kong (Malaysia), Holly Lian and Peggy Chang (Taiwan), Dora Lee (Hong Kong) and Saw Eng Chuan (Singapore). 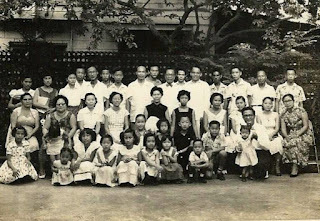 A branch Sabbath School in Quezon City at the home of Aling Rosa (Fig. 11) was especially meaningful for Ivy and David, Aling Rosa's husband was a business colleague and friend of David. Through Ivy and David’s witnessing, the entire Rosa family joined the Adventist faith. Tireless, David Dee also found time to write religious articles for a popular local Chinese newspaper. Ivy Dee translated some of Mrs. E.G. White's writings into Chinese. David Dee never really retired. That was just not in his DNA. He did start winding down his business after age 65. However, he continued to serve the Lord with vigor. One day, while translating for Pastor Pedro Diaz at a funeral service, he developed a severe headache. He became unconscious and never recovered. He died the morning after an overnight stay at the hospital on December 31, 1973. According to Chinese custom of counting age, he was 70 years old. David and Ivy Dee always dreamed of building a Chinese Church. So they donated 100,000 pesos as seed money for this purpose. The money languished in the local conference for decades. One year after her husband’s passing, Ivy Dee immigrated to America to be with her children (Figs. 14. 15. 16)- She was a loyal, active, and loved member of the Chinese Church in Alhambra, California. On occasions, she wrote articles and continued to translate Mrs. E.G. While's writings into Chinese. At age 84, she developed brain tumor and died in the Lord six months later, on May 19, 1993. Figure 2: Chinese Church at Narra Street, Manila, photo taken 1949. 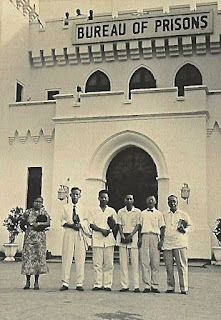 Figure 3: 1951 First baptism at National Penitentiary Bilibid Prison at Muntinlupa, Philippines, performed by Elder M. Warren. 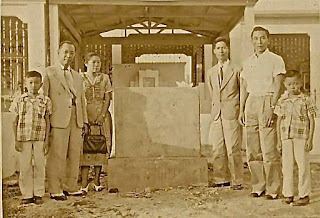 Figure 4: Graveside of Chua Tong, among the first to be baptized. Executed for leading multiple kidnappings. figure 5: Bilibid Prison Evangelism Team: L-R Joshua Dee, Joshua Chong, Ivy Dee, David Dee, David Jr. 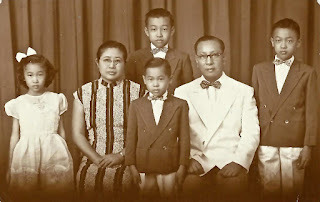 Figure 6: The Dee family, L-R: Vivien, Ivy Dee, Milton, David Jr, David Dee, Joshua. 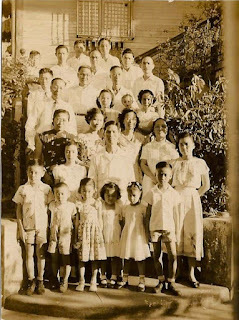 Figure 7: 1957 Chinese Church at Alonzo Street, Manila. Figure 8: Branch Sabbath School at Alilng Rosa's Home, Quezon City, Phiippines. Figure 9: 1958 Continuing Evangelism at National Penitentiary, Muntinlupa. L-R: Ivy Dee, ?, Wallace Chan, Lo Hing So, Roger Li, David Dee. 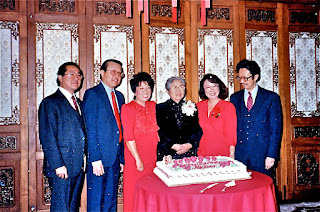 Figure 10: January 1989, 80th birthday celebration for Ivy Dee at Los Angeles, California. L Bohner, Olivine Nadeau, "DAVID DEE — God's Millionaire". Youth's instructor. July 23, 1957.